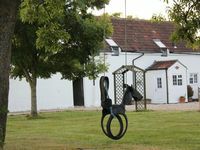 Property 3: Owl Cottage - Affordable, Rural Cottage in Great Location! Property 8: Raven Cottage - Character Cottage in Rural Setting- Great location! Property 17: Beautiful stone barn in stunning rural location on Dorset - Somerset border. Property 24: Magna Cottage is a 300-year-old self catering holiday rental in a secluded valley in Dorset. Property 28: BEAUTIFUL BOUTIQUE HISTORIC COTTAGE!